Mumford and Sons, Whole Sun, and Meryl Streep. — PigPen Theatre Co. So many exciting things going on here at the incredibly mobile PigPen headquarters (read: our tour van) - here's what you need to know! FIRST: We'll be joining some of our very favorite bands - Mumford and Sons, Alabama Shakes, Dawes, The Flaming Lips, Jenny Lewis and more - at this year's very first GENTLEMEN OF THE ROAD stopover in Seaside Heights, NJ on June 6th. These festivals are a favorite amongst musicians and fans alike - highlighting the food, people, and culture of a specific town off the beaten path - we can't wait to be a part of it. THEN: Our new album "Whole Sun" will be out on July 7th (both standard and deluxe editions) and is NOW available for digital pre-order! The deluxe version will feature 3 bonus songs and the Bandcamp version will come with a bunch of exclusive super cool stuff (alternate artwork, lyric sheets, unreleased photographs, and more) that we're finding in our "archives". Artwork by the painfully talented Derek Eads. THEN: We make our feature film debut playing some tunes in "Ricki and the Flash" directed by Oscar Winner Jonathan Demme, written by Oscar Winner Diablo Cody, starring Oscar Winners Meryl Streep and Kevin Kline... In conclusion: we seem to be the only thing associated with this film that has not won an Oscar. RATF is out in August. 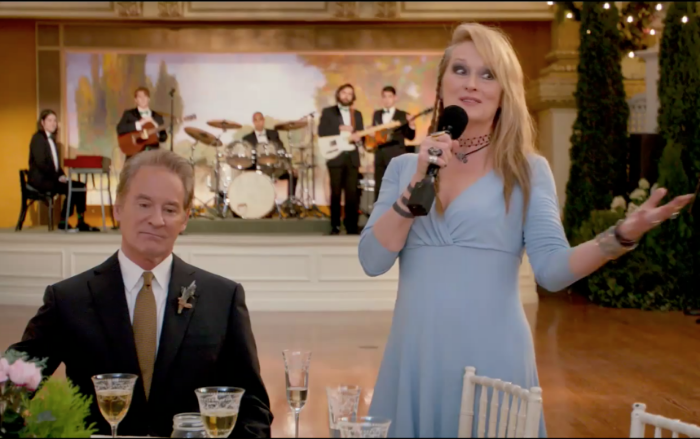 Here's an amazing picture of us with Meryl Streep and Kevin Kline that we pulled from the trailer. It's amazing in that it's a picture of us with Meryl Streep and Kevin Kline. OH AND RIGHT NOW: We're on tour! Playing concerts all over the USA. Hitting our favorites from "Bremen" & "The Way I'm Running" - but mostly focusing on sharing the new songs from "Whole Sun" with you all. Come hear them live before the album is out. 4 cities down. 25+ to go. Cities, dates, and tickets here.